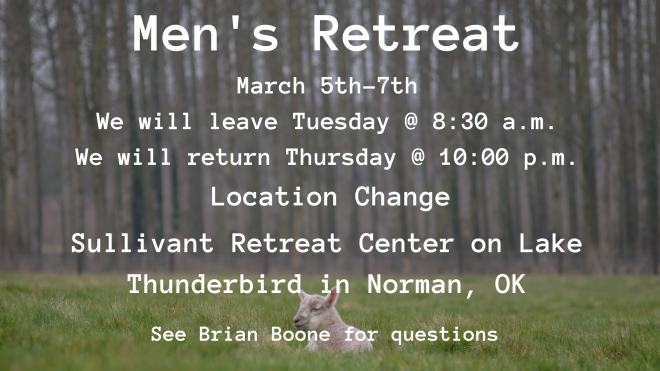 Join the men of Capitol Hill Baptist Church at Sullivant Retreat Center on Lake Thunderbird for a live stream of this years Shepherd's Conference. This will be March 5th-7th. If you are unable to attend the entire conference there are daily options available. Deadline to sign up is Wednesday, February 27.